I don't know about you but with all this cold weather I had the urge to do something that reminds me of sun, summer and grilling! I seriously can eat watermelon's every single day with a sprinkle of salt. I have this yummy watermelon salsa that I make and I can't wait to make some now! 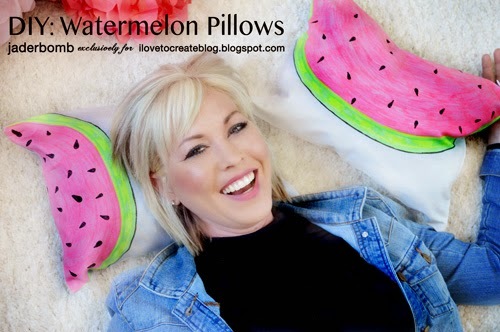 Today I am going to show you how to make this fun, summery watermelon pillow using Tulip fabric markers. 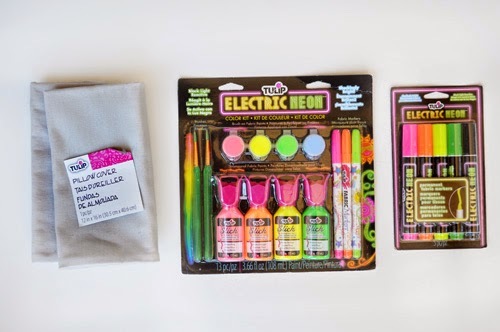 We are not using any fabric markers, we are using the new electric neon markers!!! I can't stress how much you need to get these. Kids love them as much as adults. The markers have a nice brush tip and makes coloring in things super easy. Not just that but the pigment is fabulous! Let's get started! 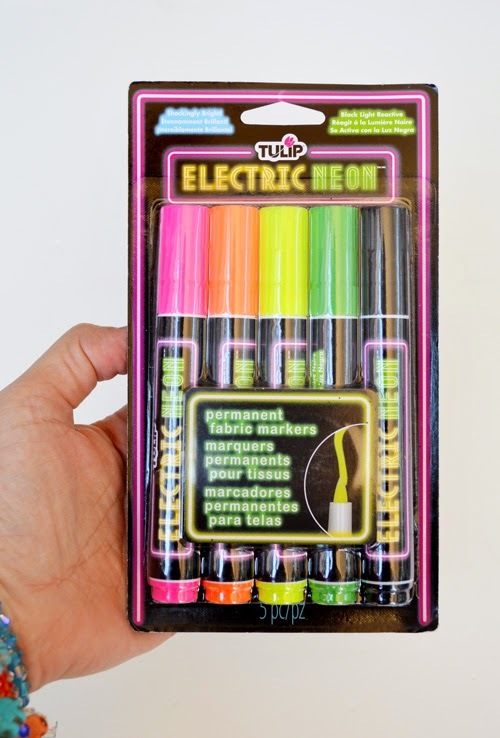 Tulip Electric Neon Color Kit - Available at Michaels February 21st and Walmart Domestic April 26th. What is there not to love here! 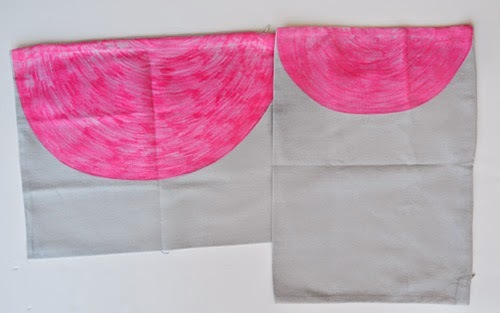 Fabric markers that are permanent! Instant love connection! 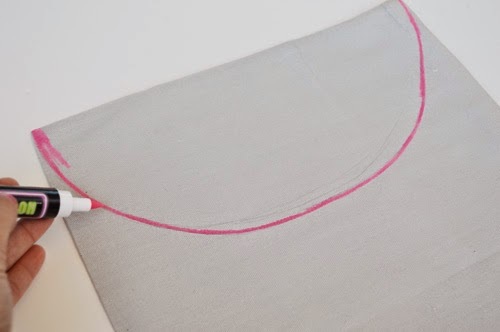 I am using pillow cases from Tulip however you can use ANY pillow case for this tutorial. That is what's nice about it. 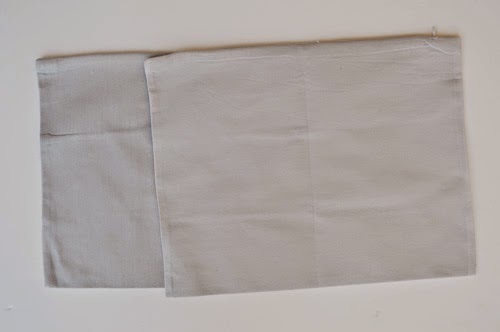 I think bed sheets would be AMAZING! 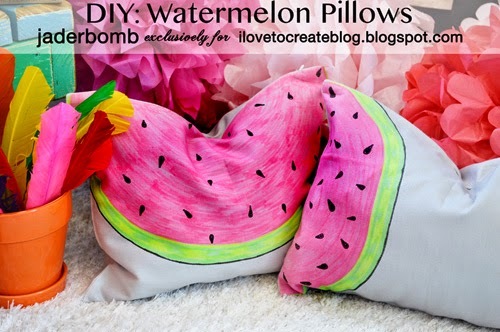 Step 1: Use a pencil to sketch out your watermelon shape. 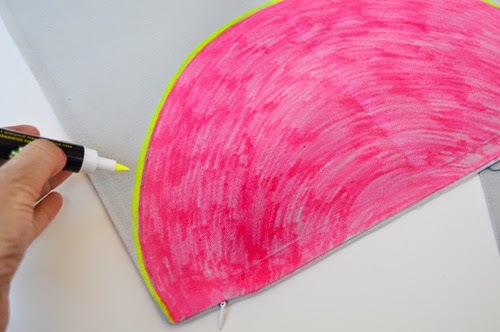 Step 2: Use your neon pink marker and outline your pencil line. Step 3: Fill in the inside of the Watermelon. Make sure you color the inside like you are constantly drawing smiley faces. We want the inside to looked curved. 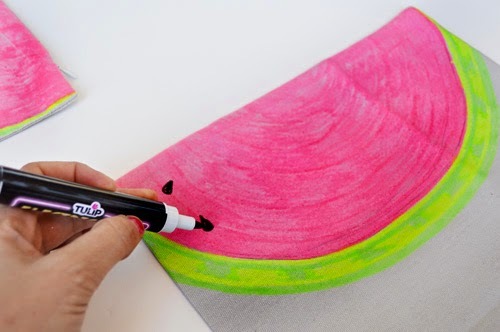 Step 4: Use the highlighter yellow and add a small line around the bottom of Watermelon. Step 5: Add green below the yellow. 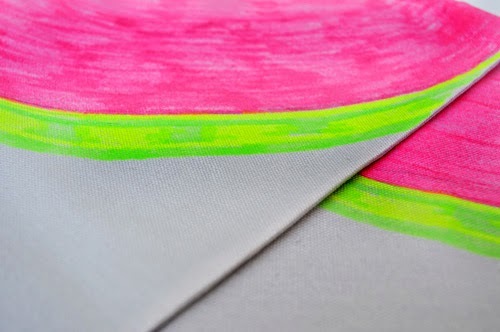 I added some green squiggly lines inside the neon yellow to add some texture. 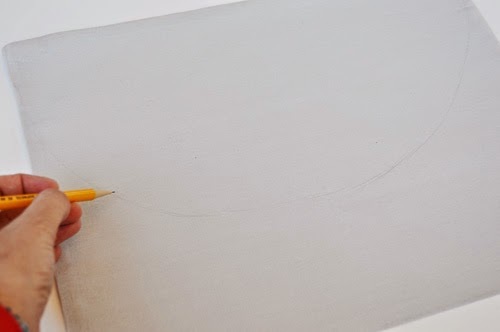 Step 6: Grab the black marker and start adding your seeds! 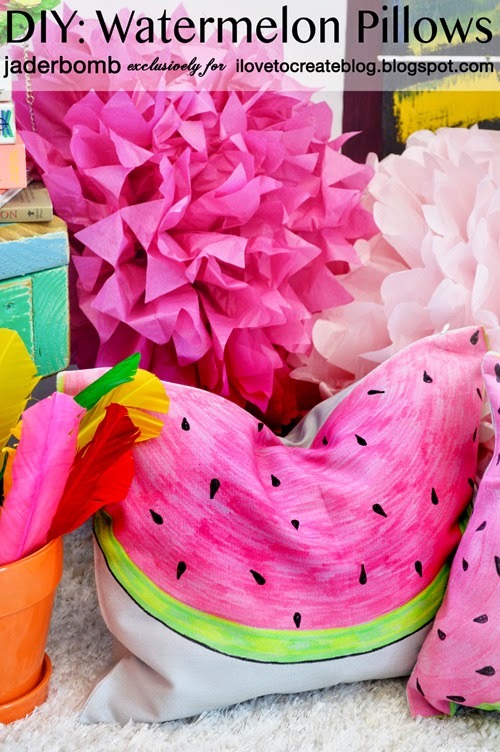 I hope you enjoyed this fun SUMMERY craft! I am on a watermelon kick now. 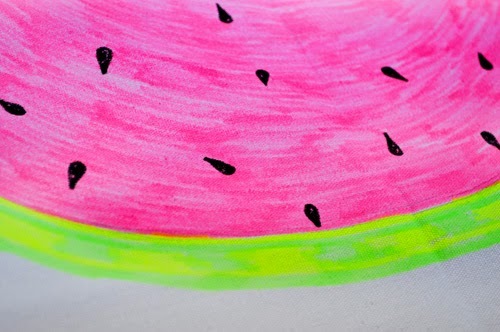 I have the urge to draw little watermelons on my flat sheet for the bed! Seriously how cute would that be!!! Stay tuned you never know with me!